Kate has done it again. I thought I loved Because of Winn Dixie. I thought I loved The Tale of Despereaux, and The Magician’s Elephant. But, Flora and Ulysses is taking my breath, and we’re only on page 66. For one thing, Flora is a self-proclaimed cynic. Who uses a word such as “cynic” in a children’s book? Only the most expert of writers such as E. B. White and Kate DiCamillo. “What does cynic mean?” my class asked, and we had a long discussion about how a cynic is a person who believes that others are motivated more by selfish reasons than honorable ones. But, it wasn’t as long a discussion as the one we had about “treacherous”. Not everyone agreed. Many children, almost half, felt that the world is a treacherous place. How sad to think that true at only eight years of age. So many lessons from just one book. I know I will have a lot more to say when I have finished it. For now, I can’t recommend it highly enough. I love reading about your classroom. So cool! Wow, that sounds like a wonderful book! I'm with Andi, I love reading about your classroom – I can tell you're doing what you were meant to do. How lucky those children are to have you for a teacher! You are a terrific teacher and I love when you write about your classroom 😉 This book sounds fantastic! Oh, Meredith – where were you when I was in grade school? You are a marvelous teacher. 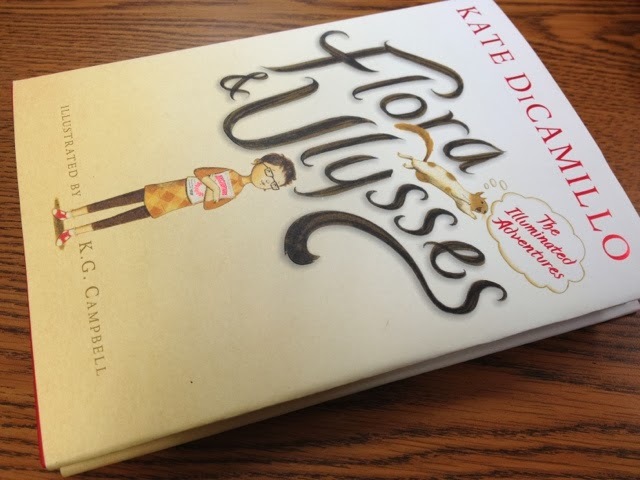 . . and you've also convinced that I must read Kate DiCamillo's books. Thanks so much for the lovely break in my day! Bellezza, this book is new to me, and it sounds wonderful. Zion's optimism is also wonderful! I'm impressed that the children write and discuss their understanding of the stories, words which can improve their learning. I will look for the book in our library. This looks wonderful. I really must read it soon!